Probably more often then not, it’s easier to create a high quality product, art work in this matter, but the hard part comes in finding your clients for it. In today’s world overloaded with choices and possibilities, finding your market becomes harder and harder and takes a lot of work, perseverance, honesty and time to succeed…and I definitely can’t say, we’re there, yet. 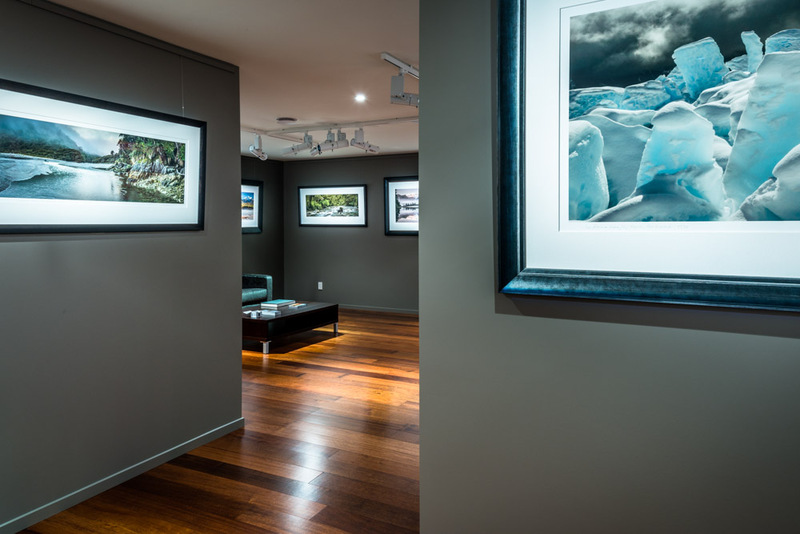 After decades of dreaming and focusing, years of planning, in September 2015, we softly opened the doors to our first “brick and mortar” private Fine Art Photographic Gallery in Whataroa, on the West Coast of the South Island in New Zealand. Located just on the border of the Westland Tai Poutini National Park / UNESCO World Heritage Area, the public grand opening of Petr Hlavacek Gallery in Whataroa, West Coast, NZ followed in March 2016. We created our gallery with a different concept though, as we chose to avoid the bigger foot traffic one can get in towns and cities. Instead, and to differentiate from masses, we chose to create this unique concept I refer to as, “a destination gallery”, focusing on a distinguished visitor, rather then quantity. This is not a new concept though, there are many galleries around the world established like this, but here in New Zealand, I suspect, our gallery might be one of two or three in the country. The biggest benefits of this luxury concept are that visitors, especially those who wish to stay “under radar”, can have an intimate private gallery viewing without interruption, with me, as an author, at hand anytime. The biggest challenge, however, remains how to ensure our visibility to these visitors, just the same as any luxury boutique resort or B&B tucked away from main touristy areas are facing. New Zealand is a small country in the furthest corner of the Planet but it’s strength and beauty lies exactly in this reality, being tucked away from the rest of the world, being this exclusive location. And it is this fact, which I think is in today’s globalised world highly appreciated and desired. One of the channels distinguished visitors wanting to experience New Zealand is via private agencies, which are able to custom tailor, deliver and satisfy any exclusive wishes their clients may have. I’m thrilled to announce that Petr Hlavacek Gallery fitted with its format, high quality and uniqueness to “Black Label Experience”. “Black Label” is New Zealand’s premier luxury travel agency, enabling a discerning visitor an exclusive, luxury experience in visiting New Zealand; and we’re delighted to embark with Black Label on a very exciting journey ahead. With our gallery’s unique, secluded setting, we provide Black Label’s distinguished clientele privacy and exclusive experience in intimate gallery viewing, along with private, custom tailored itineraries of exclusive photography tours or workshops. The secret behind Black Label Experience is “The Secret Black Book”. This is a valued compilation of trusted individuals and providers of unique and exclusive experiences, and with whom Black Label can collaborate with to exceed their valued, high end, VIP clients’ expectations. As excited as we are, so pleased was Black Label with our connections, that its managing director Tania Stoyanof wrote a blog about it. This is the BLOG about our link with Black Label. One can only imagine our delight to be included in this exclusive list of “The Secret Black Book”. This entry was posted on 30/12/2016. It was filed under Art Gallery, Photo Adventure, Photo Workshops, Photography, Photography Tours and was tagged with Art Gallery, Art Prints, Limited Editions Prints.